Marion Dreyer spoke about the PROSO approach and findings at a high-level debate on “From Research to Innovation: Bridging the Gap”. The high-level debate was hosted by PROSO partner FoodDrinkEurope on the occasion of the second European Industry Day. The debate concerned the importance of research for the food and drink industry and society at large, its translation into innovation, and its role as a catalyst for jobs, growth and for meeting consumer needs. 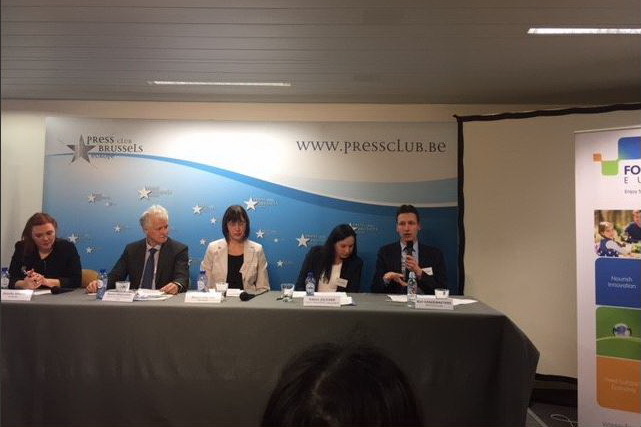 It involved about 50 participants mostly from the agro-food industry and took place at the Brussels Press Club on 22nd February 2018. Marion Dreyer participated in the panel discussion.